Whitmor Garment Rack Just $9.49! Down From $26! 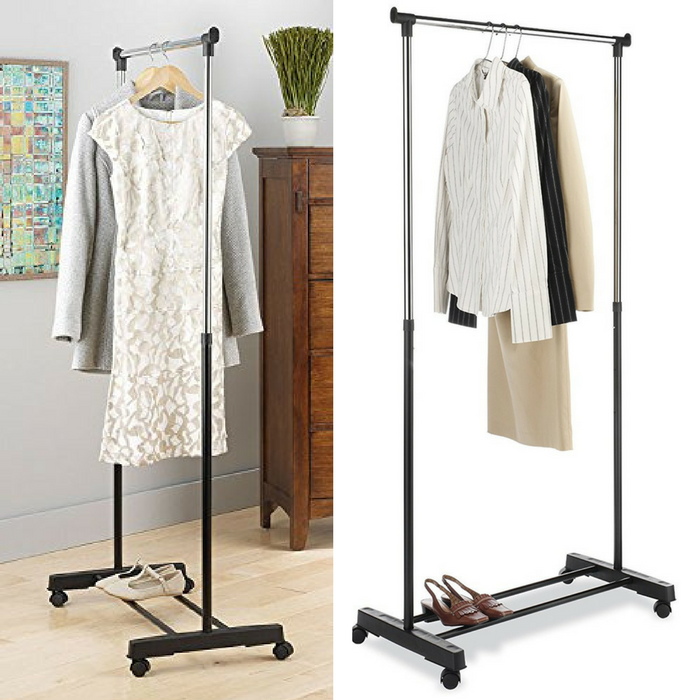 You are here: Home / Great Deals / Amazon Deals / Whitmor Garment Rack Just $9.49! Down From $26! Amazon is currently offering Whitmor Garment Rack for just $9.49 down from $25.99 PLUS FREE shipping with Amazon Prime or for orders $25 or more! Whitmor’s Adjustable Garment Rack gives you that extra hanging space you need in the laundry room, dorm room or anywhere additional hanging space is needed. It includes wheels for easy mobility and features adjustable height. The two lower bars are a perfect place to store shoes or other accessories. The garment rack’s chrome and black finish will blend with most room decors and enhance its charm. Durable black epoxy frame with chromed hanging bar and bottom shoe / luggage rack.